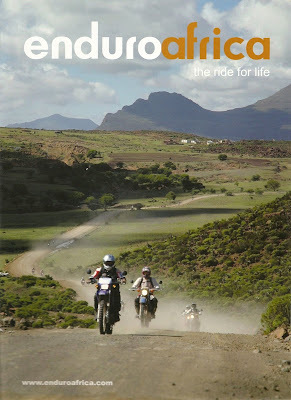 Things have started building up towards our Enduro Africa fundraising. The early jitters of not knowing where to start has gradually worn off & it's now the count down to the fund raising deadline. The minimum target of S$30,000 is no small amount, but we hope to hit and even exceed it. We have 4 months to go before deadline and 6 months to the event! We're grateful to have a deal going with our favourite chocolate brand Sins, who has come up with 2 luscious chocolate bars (Chocolate Caramel & Chocolate Cappuccino). We are selling their gift vouchers, which are redeemable for these chocolate bars, & part of the proceeds will go towards Enduro Africa. Lots of people who have sampled the chocolates gave extremely good reviews on them! The bars come in Chocolate Caramel version, which is Lindt milk chocolate, pine nuts, coconut, apricot & orange peel..... and Chocolate Cappuccino which is really for the coffee addict with real ground coffee and pine nuts among its ingredients. Phwoah!! Coming up, we’ll find more creative ways to bring in the sponsorship monies… Now, do we have any other stuff in our flat to sell? ?